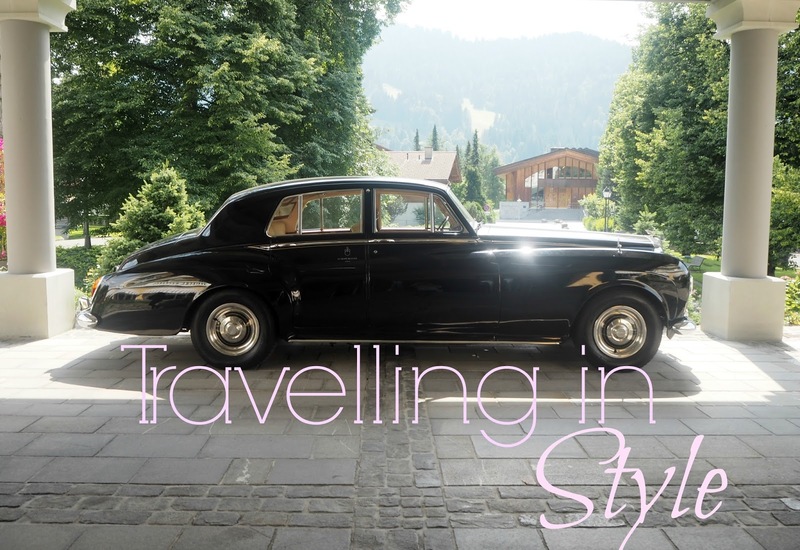 The Style High Club : Travelling in Style! Just because Summer is over doesn’t mean that holidays are too! Recently I’ve been lucky enough to head off on a couple of city breaks, and have managed to master the art of travelling in style thanks to a few quick and easy tips and tricks! From keeping your makeup simple, to ensuring that your baggage is as stylish as your outfit, give these tips a try and before you know it you’ll be a fully fledged member of the Style High Club! 1. Keep your makeup simple, and moisturising! The easiest of all of my tips for travelling in style is to skip out heavy foundations, and go for a tinted moisturiser instead. The air in a plane is incredibly drying, so a tinted moisturiser will stop your skin from drying out and can easily be touched up before you land. I love to fill my in-flight beauty bag with a mini mascara, and cream and tinted lip balm too, even for short flights. 2. Dress comfortable but fashionably. The secret is pretty much black clothing. If you want to look effortlessly chic and stylish even after being curled up for hours in a minuscule space then stick to one colour palette and there’s none more flattering than black. If you’re craving some fashion inspiration then you need only look at cabin crew – has anyone else noticed how stylish they’ve become recently?! With Julien MacDonald teaming up with British Airways and Vivienne Westwood working with Virgin, there’s no wonder they look so fabulous after 12 hours in the sky! Take a peek at this infographic that Cheapflights put together of the most stylish stewards in the skies! 3. Pack the essentials in your carry-on. There are some things I just can’t live without to ensure that you look and feel fresh and stylish throughout the flight. I love to have a small Jo Malone fragrance with me, a little hand sanitiser and a soft pashmina (perfect for when the air con gets a tad too nippy!). Once you’ve mastered your outfit for travelling in style, make sure you’ve picked out some fabulous luggage to complete the look! On my recent trip to Amsterdam I took my new Radley suitcase which I absolutely adore – the fun Radley dog print adds such a fun and lighthearted element to this outfit and theres even a matching holdall which is perfect for those shorter trips! Not just for on the plane but also, is there anything worse than having to tiptoe through security with bare feet?! Definitly not! 6. Fight the Jet Lag! I wrote a whole post on my tips for fighting Jet Lag a little while ago, and it’s worth making these small changes to your inflight routine even on short flights to make sure you’re feeling fresh when you land. Do you have a fail safe in flight outfit? Or any tips for travelling in style?